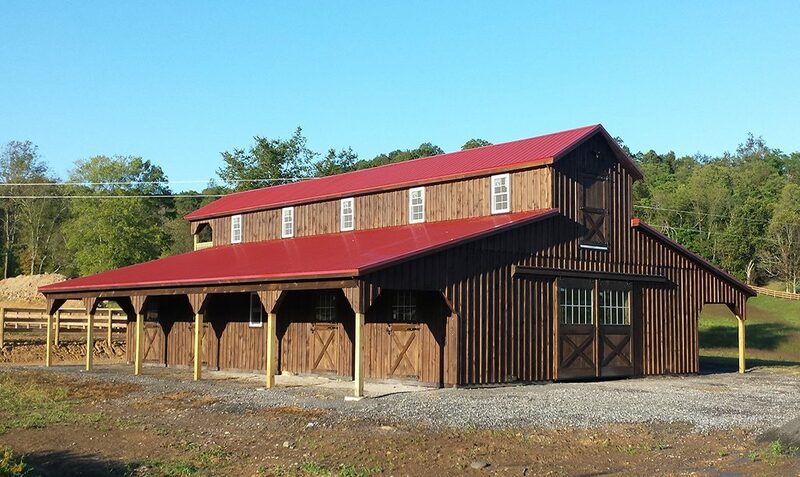 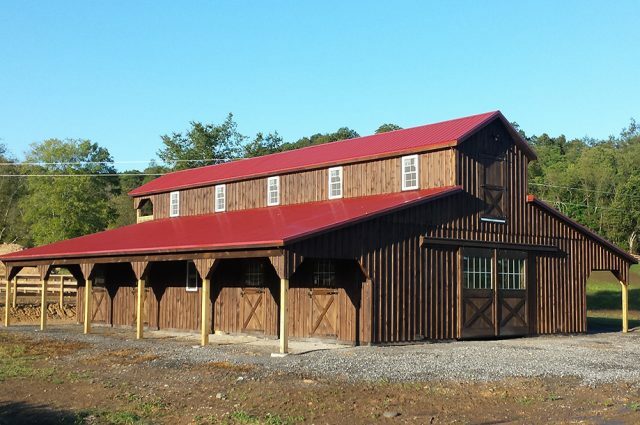 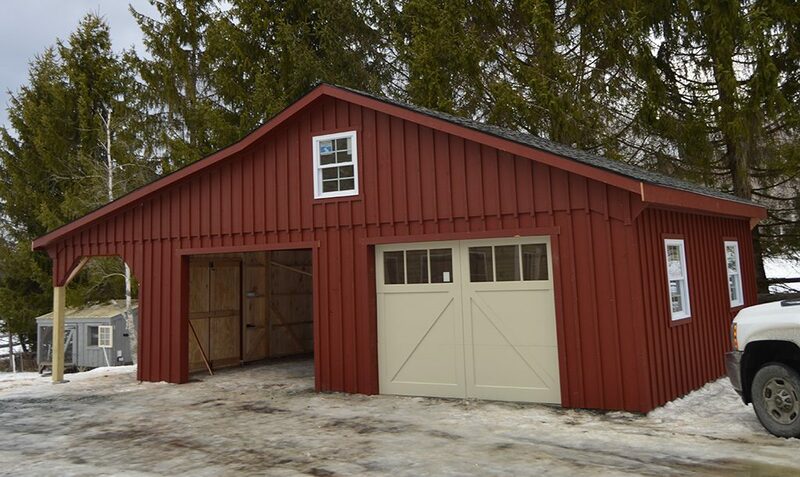 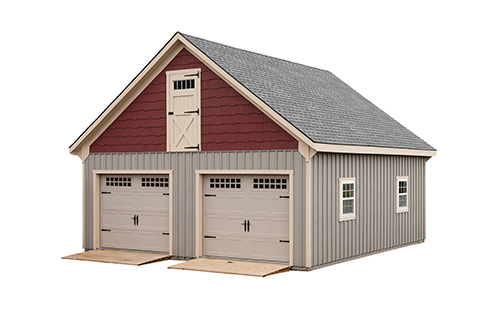 Check out this custom garage with 8′ lean-to we built in Hanover, NH! 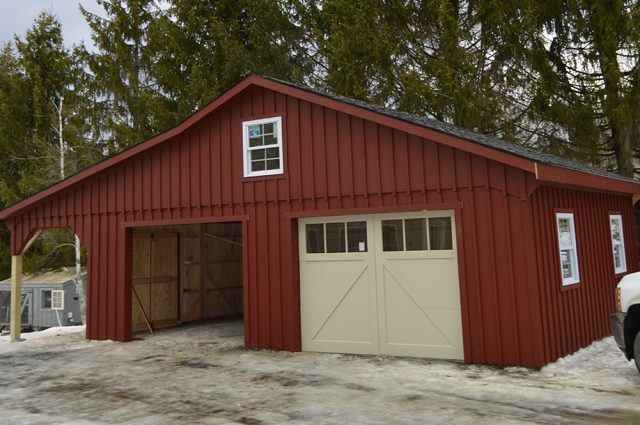 It is complete with a red painted exterior and white trim along with 9′ x 7′ Cambridge style overhead doors. 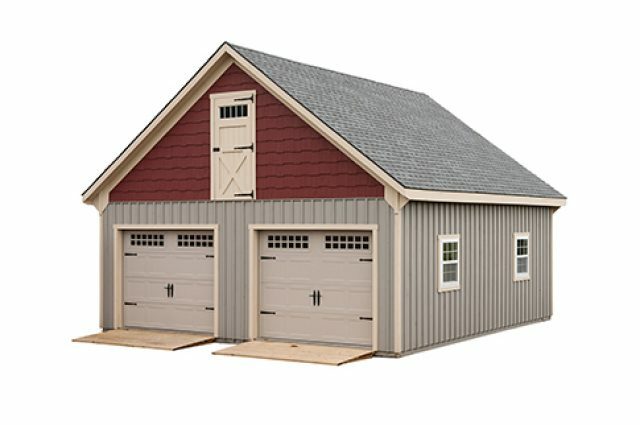 Double service doors and Silverline double-hung windows make this storage garage one that the customer loves!